SIF would like to thank DBSA and the SADC Secretariat for making this training on SOURCE in Mauritius possible! 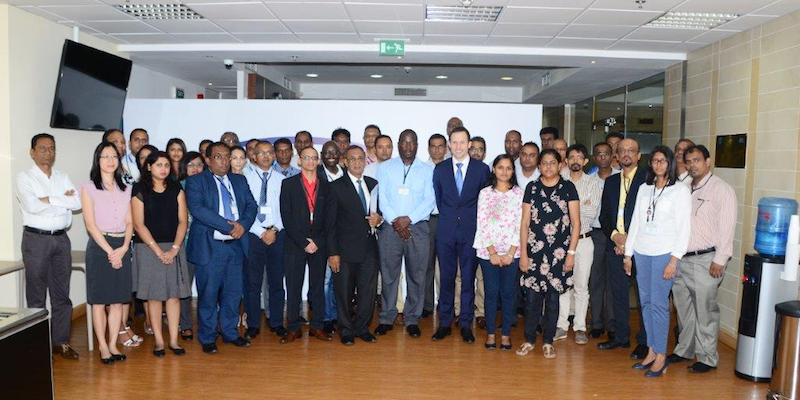 The Mauritian Government requested that their infrastructure project Managers be trained on SOURCE and it be implemented in their different government departments. Source acts as a global knowledge platform that provides its users with project preparation best practices. “We need to mobilise more financing from DFIs, donors and the private sector for the region’s infrastructure projects. However to have bankable projects in our pipeline, we need to have well prepared projects and this platform provides project managers with the capacity to prepare projects better.” said Alvino Wildschutt-Prins, DBSA’s International Specialist for Investment Partnerships & SDIPs Africa Hub Relationship Manager.